Not only did Brad average an extra 19m more distance at a slower swing speed, but he was also able to play draws and fades when he wanted. His ball speed jumped up from 106mph to 116mph! No swing change or technique tips, purely equipment ! Brad was fitted to the Srixon 565 iron with the Project X LZ 5.0 shaft and a Golf Pride Z-Cord standard grip. Project X LZ steel features proprietary Loading Zone Technology which produces maximum shaft load during the downswing for 7% greater energy transfer to the ball at impact for more distance. 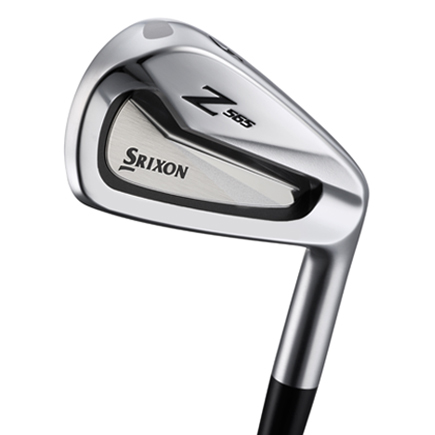 The Srixon Z 565 Irons have made Srixon’s best iron performance even better. The Z 565 is a highly playable forged cavity back that promotes maximum distance and forgiveness. The Z-Grip® Cord is the firmest cord grip available from Golf Pride®. Combining two layers of texturing for feedback and control, the Z-Grip features a deep “Z”-shaped texture pattern that winds vertically around the grip for control, while a heavy cord texture throughout provides moisture management.